British designed and manufactured rock and roll bed. 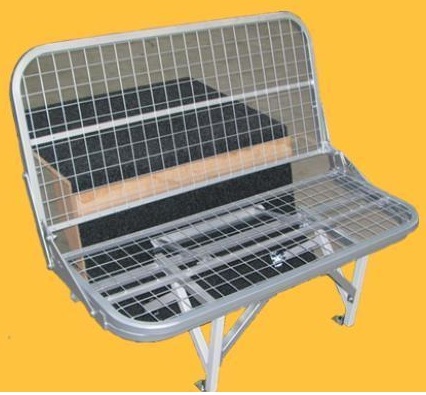 All steel construction, includes all fittings and fixings for easy assembly. Fixing bolts, plates and timber batten (2″x1″for the bulk head support) not included. 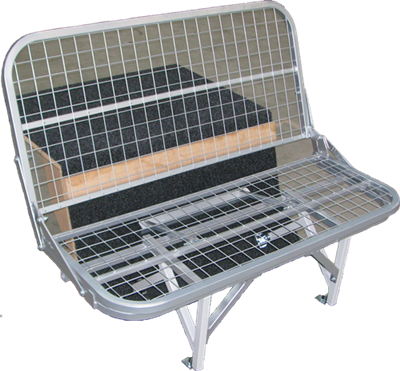 No MDF required, easy to fit and cushions (sold seperately) are secured by velcro through the mesh. Lift up seat for storage, wire mesh to save weight and for comfort. Fits flush with the engine bay area. The seat height without cushions is approximately 330mm, the bed height is approximately 455mm and when it’s extended it’s approximately 1900mm long. You can leave it as a bed and still easily get in and out of the vehicle. 3/4 width 1020mm or 1150mm wide. Allow an extra 30mm for clearance on the width. Bespoke sizes available, refer to our bespoke rock & roll bed page. The images show the rock and roll beds fitted in a T2 and a Split screen. We offer a upholstery service to complete your bed. We have a wide range of fabrics and vinyls’ and we can work to any specification. If you would like details or swatches please email sales@volkswares.co.uk or call us on 07870 408975. 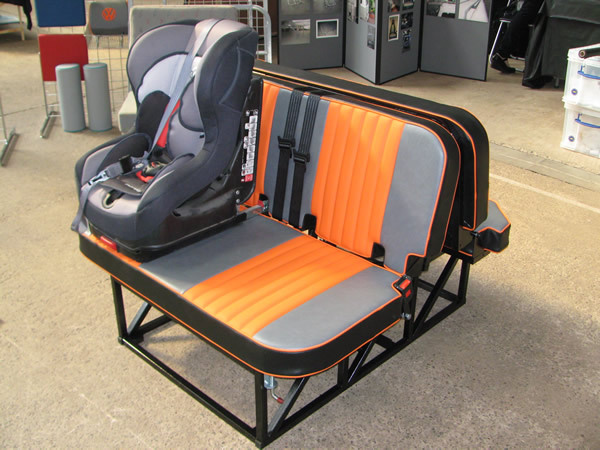 If you would like any further information on fitting this product to your T2 Split or Bay please email us at sales@volkswares.co.uk or call us on 07870 408975.